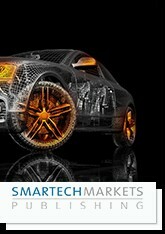 CHARLOTTESVILLE, VA--(Marketwired - September 22, 2016) - SmarTech Publishing has just published a new 120-page report showing where the money will be made from additive manufacturing in the automotive industry over the next decade. This new report assesses the revenues from 3D printers and related software, materials and services sold to car and truck makers as well as automotive parts firms. In 2016 revenues from such activity will reach $0.6 billion but the report says they will reach $2.3 billion by 2021. We believe that this new report -- Additive Manufacturing Opportunities in Automotive - 2016 -- will become essential reading for all marketing and business development executives designing strategic responses to the emerging additive manufacturing opportunities in the automotive market. This report is especially timely because of the recent announcement of investment by the PSA Group (encompassing Peugeot and Citroen) in startup Divergent 3D's radical automobile design platform. PSA Group has become the first global auto OEM to officially recognize the potential in a significant shift in automobile design supported by 3D printing for lightweight and small footprint auto manufacturing. But we believe that a lot of other majors in the automobile industry will follow. The 3DP strategies of other leading car firms are discussed in this report, including those of Audi, BMW, Daihatsu, Daimler, Fiat Chrysler, Ford, Lamborghini, Magna International, Rolls-Royce and Volvo. Discussion of key automotive industry trends affecting the overall outlook for adoption of 3D printing technology. Included in this discussion are macroeconomic factors, light weighting trends, automobile design evolution, and competition from traditional manufacturing technologies. Ten-year market forecasts in volume and value terms of the 3D printers, and related software, materials and services used by leading car makers and automotive components makers. Market shares for leading 3D printer firms active in the automotive industry. This market share data is provided with breakouts both by technology sales by technology and install bases. 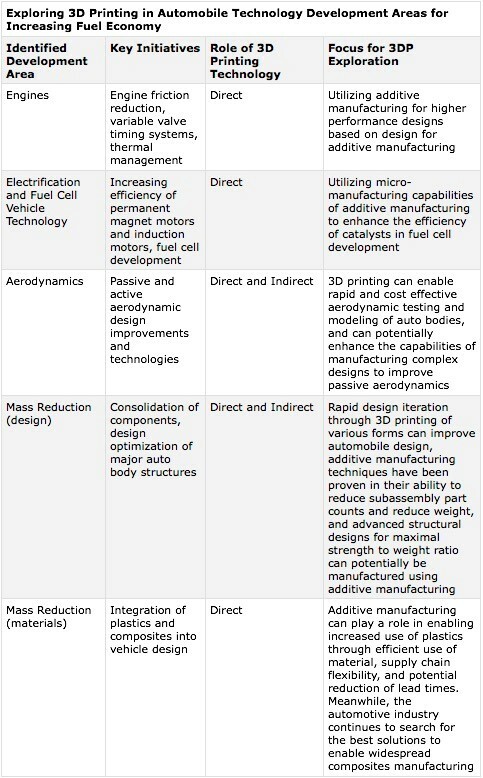 Identification and analysis of major automotive stakeholder implementation strategies for 3D printing technology. Here we examine what the leading car and truck firms are doing with 3D printing and how they will expand its use in the future. More generally, the report covers the role of both minor and major vendors. The automotive activities of 3DP firms discussed in this report include those of: 3D Systems, Arevo Labs, BasTech, Cincinnati, Inc., Concept Laser, EnvisionTEC, ExOne, EOS, Farsoon, Fortus, Hoganas, HP, Impossible Objects, MarkForged, Materialise, Norge Systems, Optomec, Prodways, Rize, SLM Solutions, Stratasys, Ultimaker and voxeljet. All-in-all this is the most extensive guide available to where the opportunities will be found in additive automotive solutions and products in the next decade. It will be regarded as essential reading for everyone in the value chain for 3D-printed automotive products. Leading 3D printer vendors are increasingly identifying the automotive industry as a leading potential customer for their printers. For example, HP has shown the auto industry to be a clear target for the initial launch of its commercial Multi-Jet Fusion products, the MJF 3200 and 4200. Meanwhile, SmarTech Publishing believes that EnvisionTEC's composite printing system is a major investment in growing the company's appeal to the auto industry. And in a recent invitation-only meeting 3D Systems told its industrial partners that the automotive industry was a high priority for its business development team. Even the desktop 3D printer firms are getting in on the act. Ultimaker's low cost, high quality desktop material extrusion systems have been utilized by Audi. The North American automotive industry currently has the most 3D printers installed - approximately 9,400 in 2016. However, automotive firms in the Asia Pacific region are expected to overtake North America in the next few years with about 42,600 machines installed by 2021. One reason for this growth is the massive increase in plug in electric vehicles produced and sold in China, which will require for mass reduction initiatives in which 3d printing may serve as a key enabler. Consumption of 3D printing materials by the automotive industry in 2021 will reach around $530 million by 2021. An important factor here will be the rise of composites in the automotive industry and the growing ability to 3D print those composites. Integration of composites printing further raises the future potential for additive manufacturing to address mass reduction initiatives, while also potentially addressing performance enhancements. Though most are in very early development, a number of new composite printing technologies have become available in varying stages of beta testing or commercial use over the last twelve months, with numerous printer developers continuing to pursue the development of automotive-friendly composites. Since 2013 SmarTech Publishing has published reports on most of the important revenue opportunities in the 3D printing/additive manufacturing sector and is considered the leading industry analyst firm providing coverage of this sector.